Located on the southwest shore of Yellowstone Lake, the Grant Village Campground is situated at an elevation of approximately 7,800 feet in a lodgepole pine forest, just a few miles from the enchanting West Thumb Geyser Basin. This geyser basin is located on the shore of the lake, with an easily navigated boardwalk and trail system providing terrific views of the various hot springs and thermal features. The campground offers a relaxing setting with easy access to many services and amenities. Grant Village Campground is just over 40 miles from Colter Bay. Campground rates are per night, for up to six people or one family (parents with dependent children) and do not include taxes and utility fee. Campground sites that will accommodate a maximum combined length of 40-feet or more are limited. 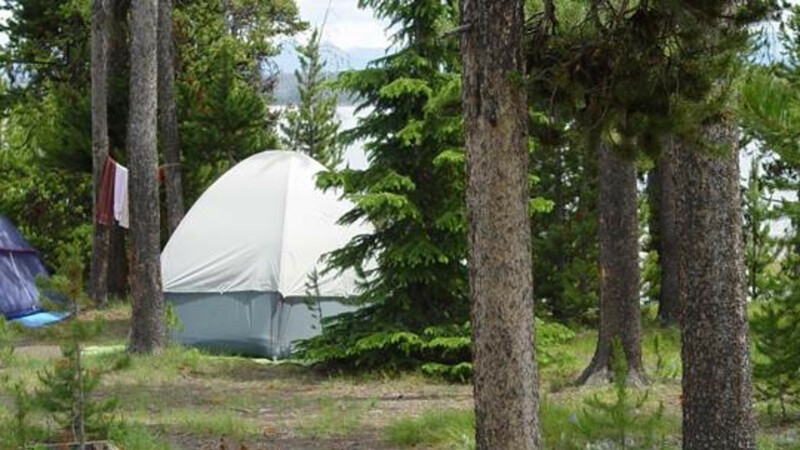 Please keep in mind that most campsites in Yellowstone will not accommodate oversize units. If you arrive at the campground/RV park with equipment different than that for which you have reserved, we will not be able to accommodate you. Rates include two showers per night. Rates do not include taxes and utility fee. Rates and dates are subject to change. Interagency Access and Senior Pass discounts are applicable at this campground. Great campground for Yellowstone trip!